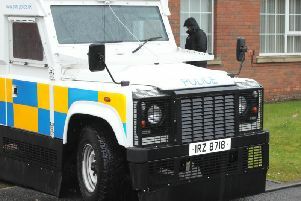 Police are hunting for an armed man after damage was caused to a kebab shop in Lurgan. The PSNI believe the man used a hammer, small baseball bat or something similar to cause damage to the Chilli Kebab in High St.
A PSNI spokesperson said: Such an attack on a hard working, friendly, and (as of last weekend when I last checked) very tasty local business is completely unacceptable, and not something any right minded person in the community wants. “If you know anything, were passing by and have dash cam footage, or witnessed a male running off from the area, please call us on 101 or drop us a PM. “Also, if you’re a local business owner and have CCTV, please check it, the time you’re looking for is around 0040 yesterday morning.